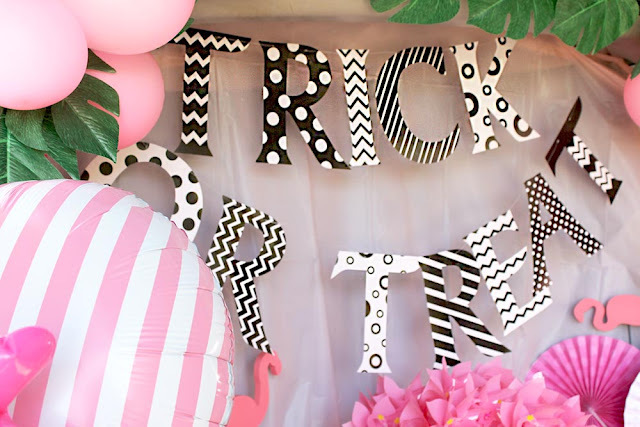 I'm so excited to be part of the Trunk or Treat Blog Hop hosted by Nikki Willis of Tikkido. 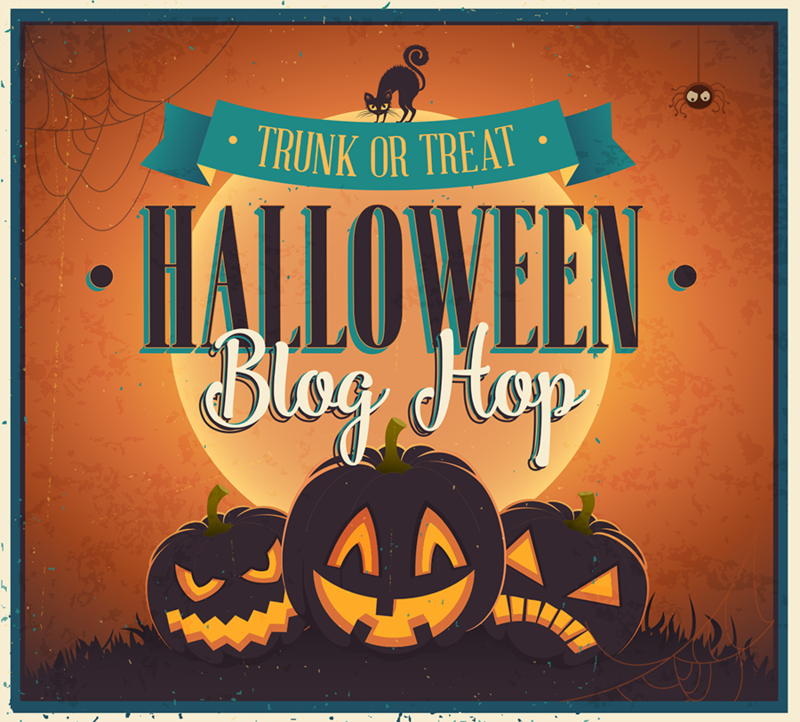 Each year she rounds up some of the most fabulous creative bloggers and lets us share some pretty awesome ideas for decking out our rides for a trunk or treat. 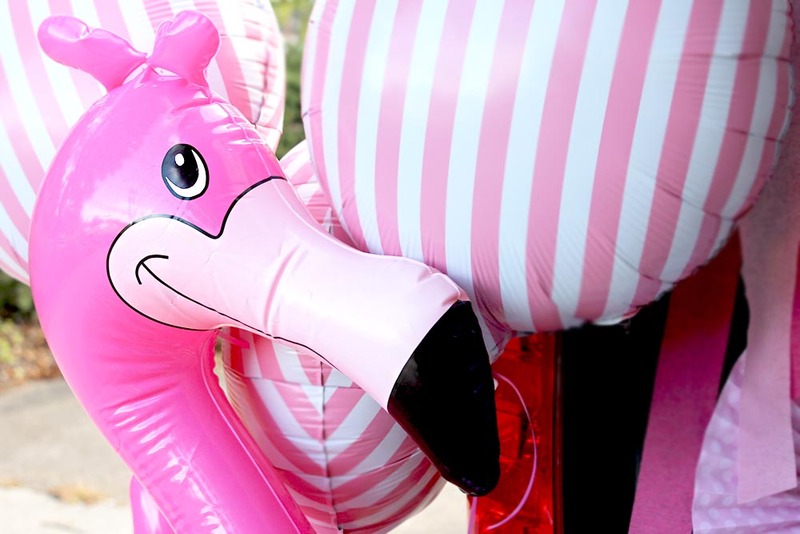 This year, I was really into flamingos....I went to San Diego in April and visited the zoo during my stay and got to see these beautiful pink birds and was instantly hooked. Everything was just flamingo this and that for me after that trip. 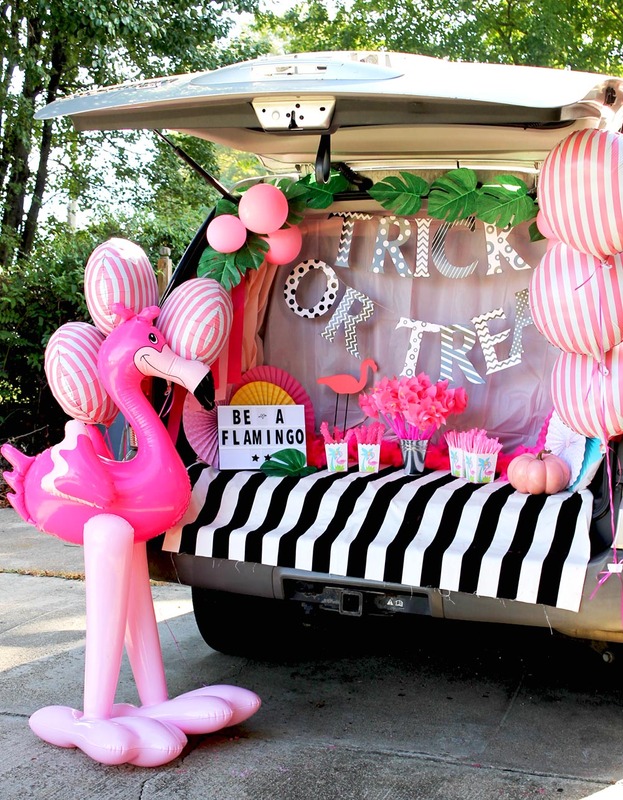 So, I figured, it would just make sense to round up my Halloween with a Flamingo themed trunk or treat! Oh and if you're wondering what a trunk or treat is....it's a fun way for kids and families to trick or treat. Usually hosted by community organizations, churches or neighborhoods, sometimes in parking lots or other outdoors spaces. Folks dress up their vehicles...trunks and pass out candy or treats. It's really fun and you should try it! For this year's trunk or treat, I was lucky enough to again, work with my favorite party supplier, Oriental TradingCompany, to get some fun flamingo themed products. If you need ideas on how to set up your trunk for a trunk or treat, I have some tips. I always start with a fabric cloth...usually a dark one because it blocks the light. I always tack the fabric and other items I am hanging up with t-pins or straight pins. For my set up, I just hung a dark fabric behind a pink plastic table cover. Then, I hung a Trick or Treat banner up using pins as well. My next step was to create some sort of facade to somewhat dress up the not so pretty parts of hubby's car....and just really for overall decor. 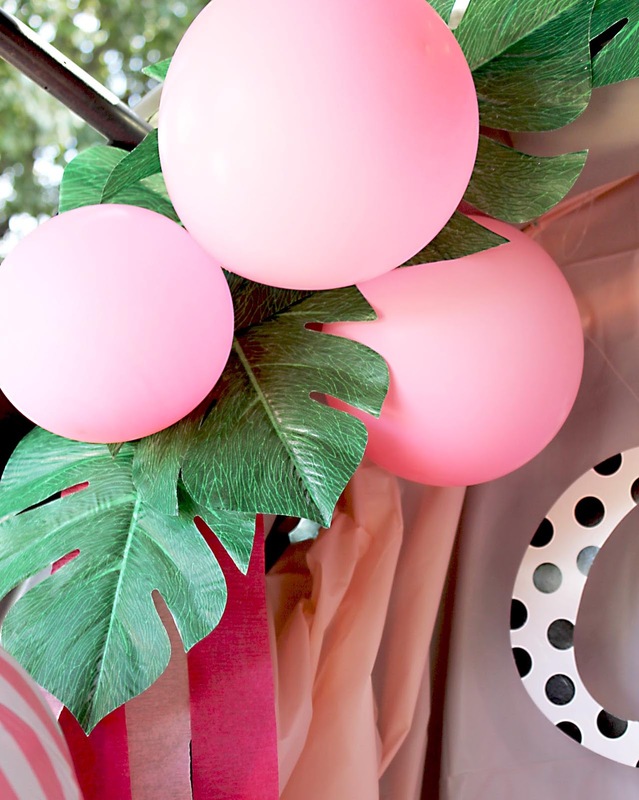 Faux tropical leaves were perfect for this and I added a few pink balloons blown up at different sizes for a pop of color! 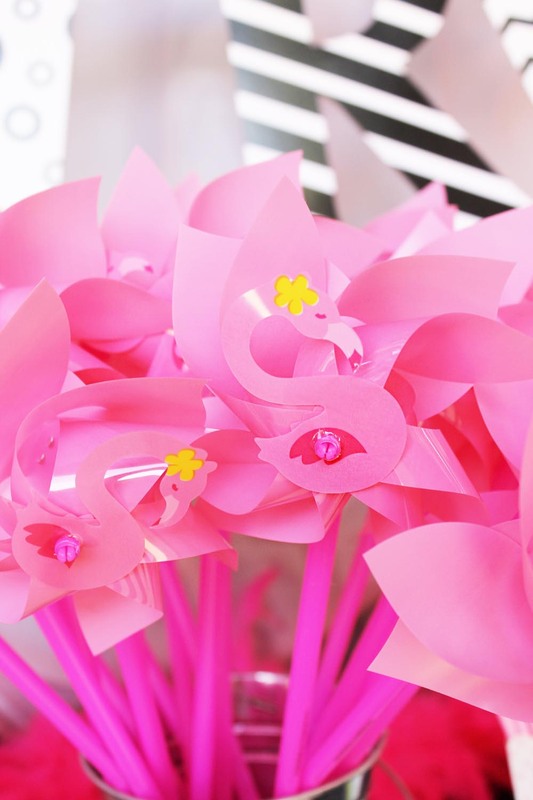 They almost look like flowers! A few colorful streamers were added to the mix just to hide more of the car. Here's another tip, use a strong double stick tape to hold items like this into place. They attach to metal and plastic easily and can be taken off without leaving anything on the car. I placed one of my go-to fabric coverings on the floor of the trunk. 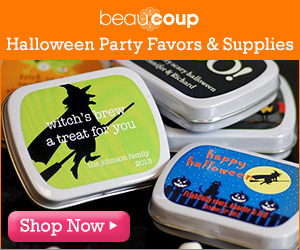 The black and white stripes pick up the black and white colors in the Trick or Treat banner perfectly. 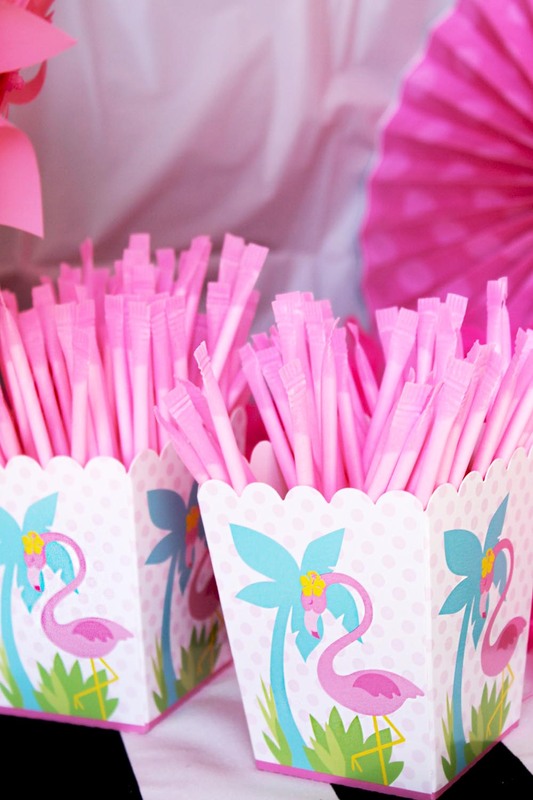 I added more pops of color with a few decorative paper rosettes, a pink feather boa, and striped balloons from Oriental TradingCompany. 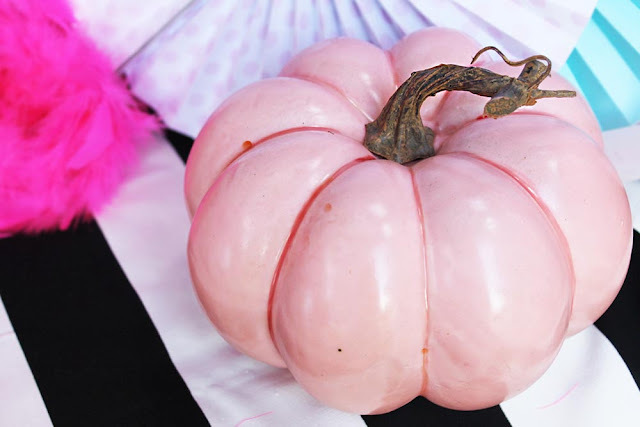 ...and I had to add a pink pumpkin....of course. 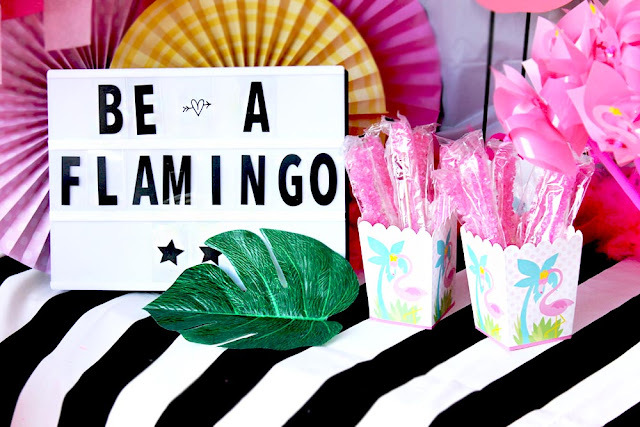 To finish everything off, I added a fun lightbox sign, wooden flamingos, along with a few favor boxes filled with candy and flamingo pinwheels! 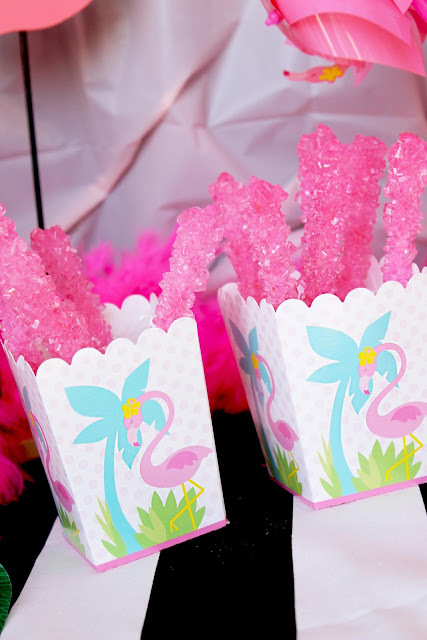 I chose my candy because they were 'sticks' as a nod to the long legs of the flamingos. 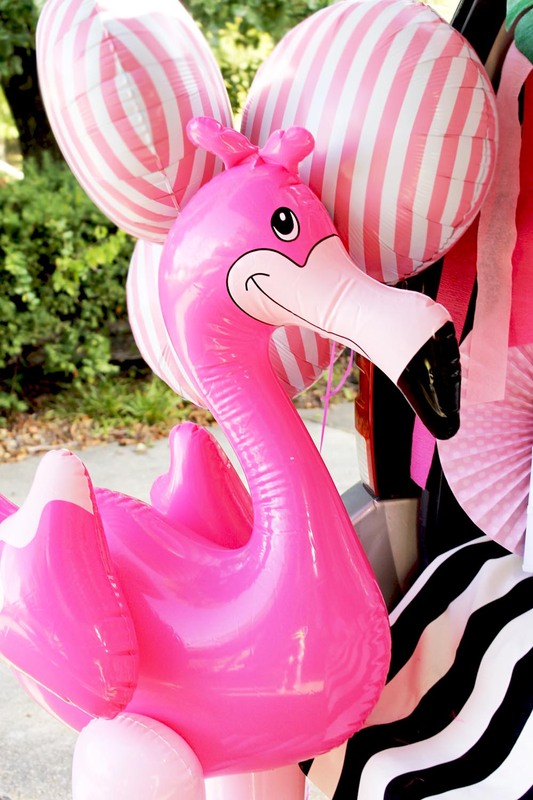 I always like to have a fun show stopper and this large inflatable flamingo was SO perfect! 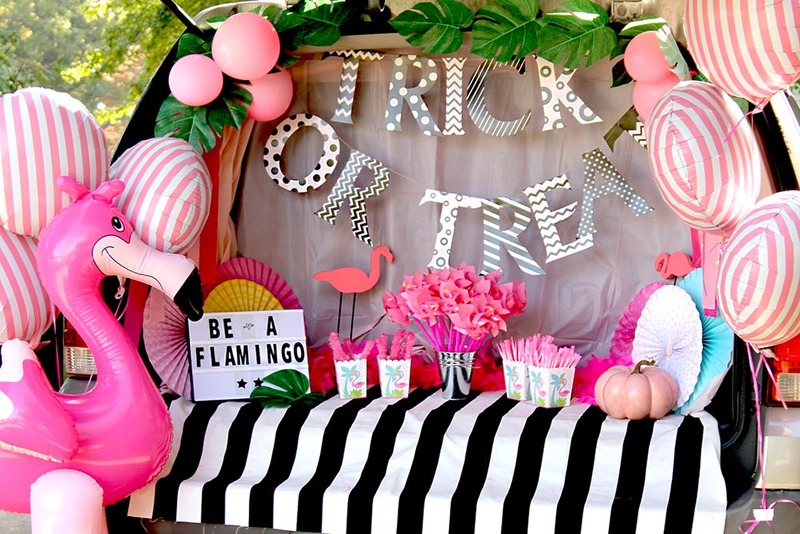 A trunk or treat is all about having fun. It doesn't have to always fit a typical Halloween theme - just use your imagination and go for it. Check out more Trunk or Treat ideas from the other bloggers participating in the Blog Hop! 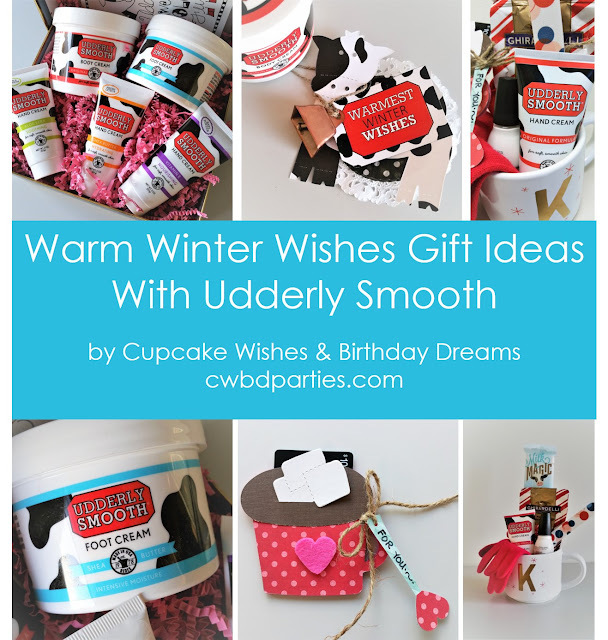 Visit me @cwbdparties on Instagram, Facebook, Twitter and Pinterest and tag me when share your best crafting moments using craft ideas from my site!